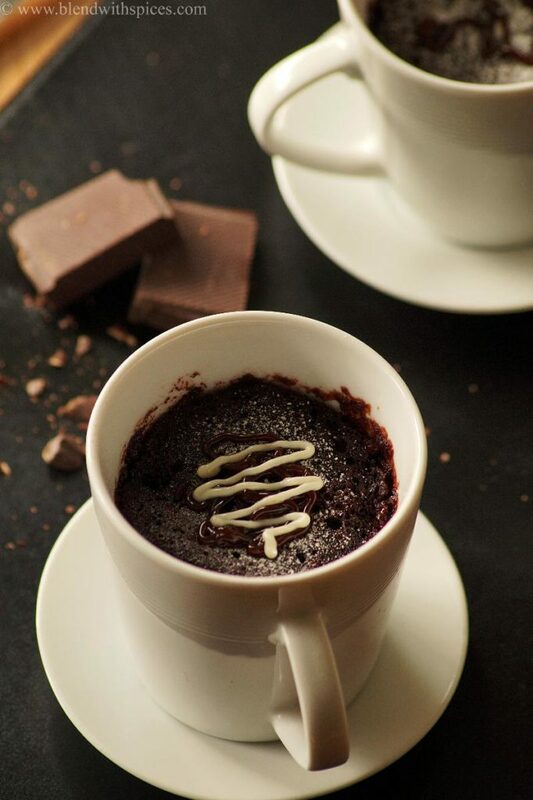 In a microwave safe mug, add the sugar, flour, baking powder, salt and cocoa powder and mix well. 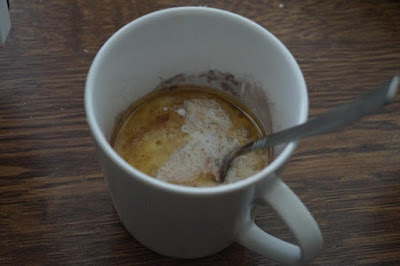 Then add the milk, oil and vanilla essence and mix well to combine. 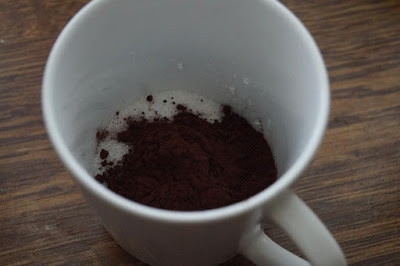 Place a piece of semisweet chocolate in the center of the mug and don’t push the chocolate down. 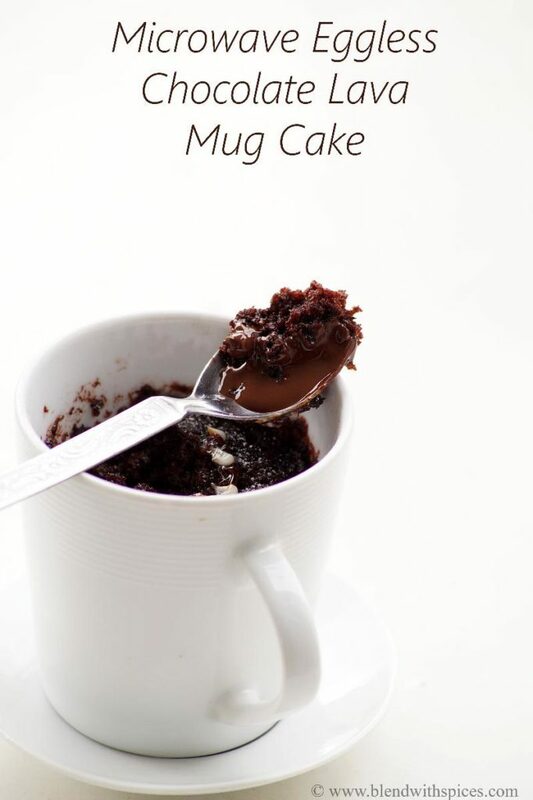 Place the mug in the microwave immediately. 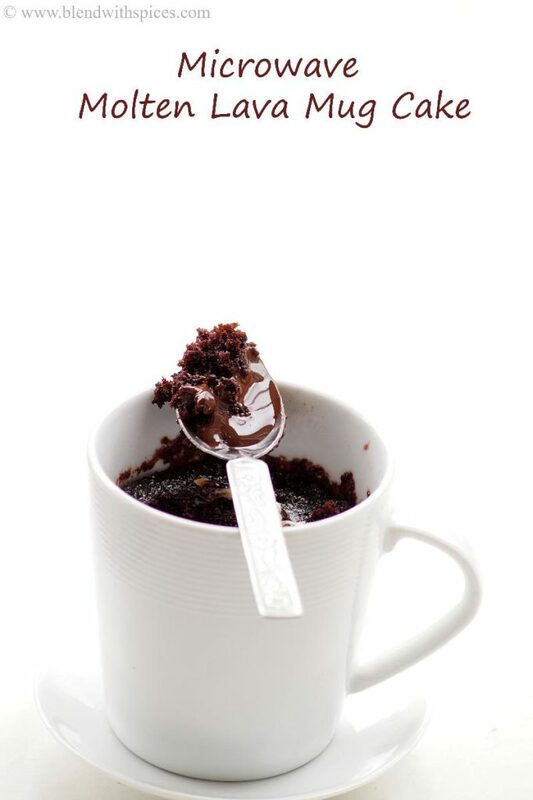 Cook the mug cake in microwave on high for 1.30 – 2 minutes or until the cake rises to the top and set. 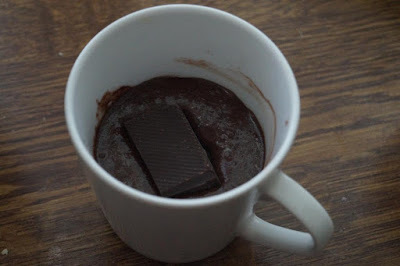 Remove from the microwave and let it cool for 5 minutes. Sprinkle some powdered sugar on top. Serve warm. You can also serve this with ice cream. 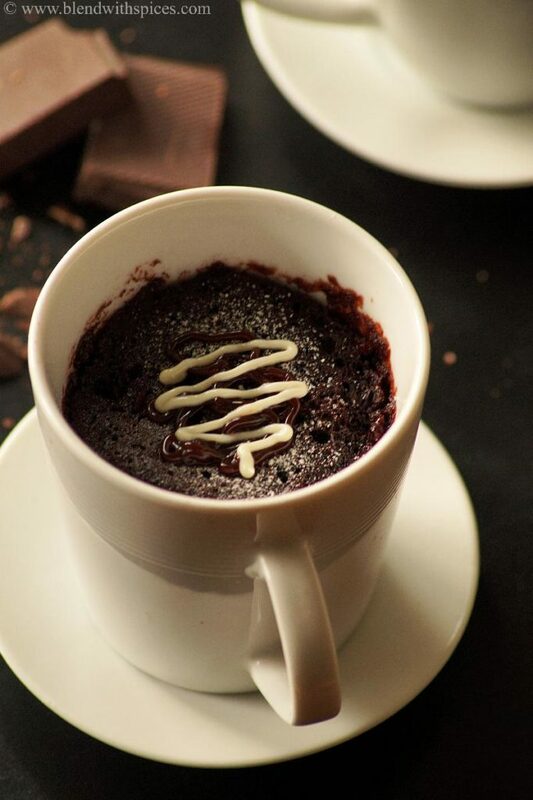 Like these quick desserts to satisfy my sweet tooth. Looks yummy.